After over a year of break, I am BACK! So much changed since my last post. I got married, started a new chapter of my life and went on the most amazing honeymoon. When Mr. K and I were planning our honeymoon we did some serious research. Its like everything you do you life. After you do it once you feel like you can do it for a living! I definitely feel like I can be a wedding planner now that I've planned my own wedding. More on the wedding on the next post but I'm super excited to be doing this one! After we got back from our trip we got numerous questions about how we planned our trip and where to eat, visit, etc in Japan. 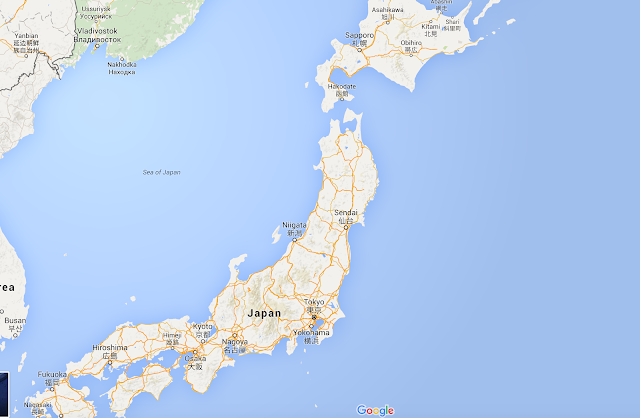 Hopefully this post will inspire and assist those of you who are interested in visiting Japan. Travel book :: get a travel book and get excited! 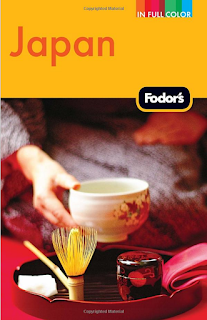 We spent a few weekends in Barns and Nobles reading about all that Japan has to offer and these are some that stood out to us. 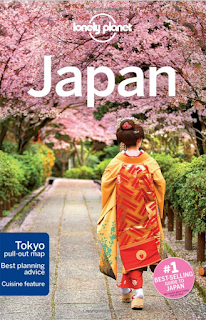 Lonely Planet- mostly all text because it is jam packed with places to eat, play and see. Perfect for the plane ride to read too. We ended buying this one. 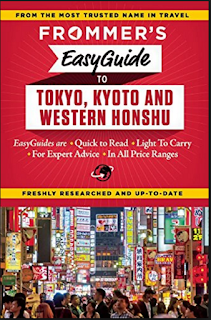 Frommer's EasyGuide- mostly text as well. 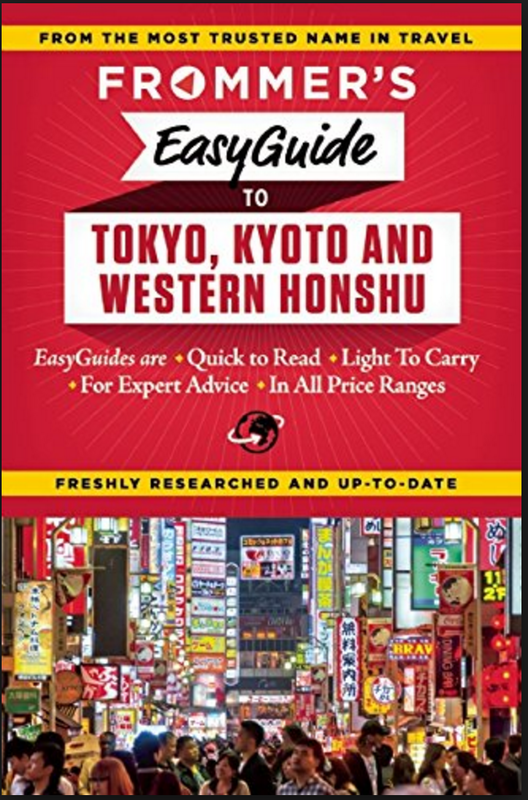 Good detailed guide for Tokyo, Osaka, Kyoto mainly. 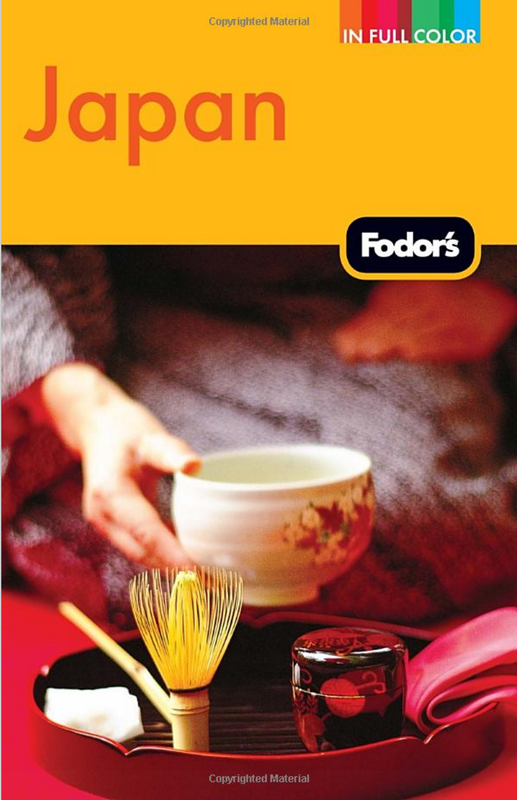 Fodor's Japan- easy read, full color. Great visuals but not very detailed. How to use: after redeeming your pass you will have to flash the pass every time you wish to go into a gate. Instead of using the machines to get in the gate you have to show the pass to a person on duty. they are usually on the left side of the gate. Pocket WiFi - GET ONE GET ONE GET ONE! You and your partner will be relying on this, unless you speak Japanese. You can reserve your pocket WiFi while you are still in the states and just pick it up at the airport. We reserved ours from eConnect ($106 USD for 15 days). The transaction was super smooth. We flew into Narita NRT airport and you just go to the post office within the airport to pick up the pocket wifi. After you pay for it in the states they will schedule to mail the device to the airport of your choice. Once you are done and leaving Japan just stop by the post office before heading into the gates and put the device into the prepaid envelope! The pocket WiFi allows you to connect up to 10 devices at a time and came with a back up battery in case you stay out longer than 8 hrs. No need for a sim card or unlocking your phone if you won't be making phone calls from Japan. TripAdvisor- if you haven't already download the TripAdvisor app! It is the yelp of Japan really. You can find restaurants and things to do on the app easily. It is linked with apple map and even has functions to direct you by train routes. If Apple map is failing you, just copy and paste the address into your google map. Suica card- You can't get this one until you get to Japan. If you are going on Metro that is not part of the Japan Railway (JR) route. You can get these from the automatic ticket machines. You can also use this at all 7/11, convenience stores, vending machines, buses etc. It will save you time from looking for coins. No body tells you this but subways/Metros are different than trains and trains are different than Shinkansins. A GoPro and Selfie stick. We found the perfect selfie stick for our budget HERE. It is lightweight, bluetooth with remote and can be waterproof. A travel friendly backpack - After hours of research I ended up getting the Fjallraven Kanken Laptop backpack. Something with me and waterproof items. I feel like everything has to be waterproof to protect my electronics. It is very spacious and review to come if any of you are interested. Let's start with the basic, BOOK A PLANE TICKET! There are so many sites with hacks and tricks to maximize your traveling plans without breaking the bank. My favorite is the points guy. I made sure I opened a credit card that has 0% foreign transaction fee prior to going on our trip. Not to mention the bonus points that can easily subsidize your ticket or hotel. Every card has its special perks but our favorite currently is the Chase Sapphire Preferred. More on best travel credit cards here. First step of touring Japan is to decide on how many days you want to spend in this amazing country. We spent 2 full weeks there and covered half the country on a comfortable pace. If it is your first visit I would definitely visit Tokyo, Osaka and Kyoto. If your trip is a little longer consider visiting Sapporo it is absolutely beautiful. Taxi :: these little babies are pretty pricy in Japan and depending on where you are in the city you could rack up a hefty bill and a long ride. Railway/Metro :: Take a deep breath. This is the one you will be mostly using, but it is beyond confusing to figure it out initially but I will be sharing what we learned later on. Keep reading! Shinkansen :: The most amazing experience! it is a must when in Japan. 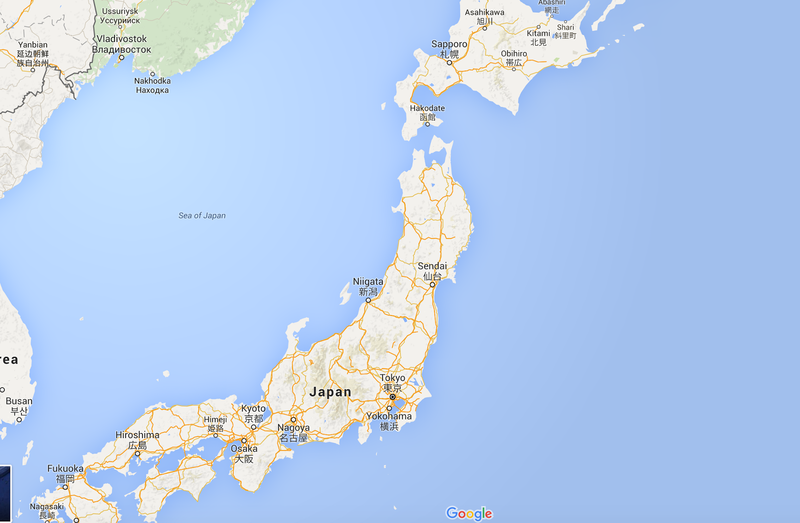 If you are thinking of going from one side of Japan to another, chances are you will probably take the Shinkansen. Note: new Shinkansen line opened in March this year to Hokkaido! However due to infrastructure it still takes a significant amount of time to get there. If you are on a time crunch, take a flight! Bus :: Use a Suica card for this. We only took the bus in Kyoto but it was a fun experience! Walk :: oh yes, you will be doing a lot of this one! I got a fitbit from Mr K. for Christmas and I hit 10,000 steps around noon almost everyday while on the trip! Hotel :: Well what can I say? Tokyo is one of the most expensive city in the world to live in. Be prepared to stay in a matchbox unless you are willing to pay upwards to $400 a night for a "normal" size room per American standards. Air bnb :: I know I know, it is not the ideal choice when you are on vacation, but if you are thinking of spending at least 2 weeks in Japan lodging itself can cost 3000-4000 dollars so mixing some days up with air bnb wouldn't be such a bad idea. Tip: try to stay in an air bnb in cities that are especially expensive like Tokyo and metropolitan surroundings. Honestly you will only be sleeping in the air bnb anyway! Our airbnb in Osaka below. Ryokan :: A special hybrid between an onsen (hot spring) and hotel. They are very pricy so I recommend staying here 1-2 nights between your travel from one city to another. Book them online and in advance, most of them are booked 1-2 months ahead of time. I used Hotel.com and Japanican. Will share the Ryokans we visited in the next post!